Transvaginal mesh is a type of surgical mesh product that became a popular choice for treating stress urinary incontinence (SUI) and pelvic organ prolapse (POP). Both SUI and POP are conditions that are caused by muscle weakening and doctors traditionally had to perform surgery to strengthen the muscles. Transvaginal mesh presented an easier alternative by permitting doctors to use the surgical mesh to fashion a sling to hold the pelvic organs in place where they belonged. Unfortunately, Transvaginal mesh turned out to be far from the easy solution that was promised to patients. The mesh began to cause very serious complications including significant pain for women as well as infections and recurrent POP. Often, revision surgeries were required and the entire process of treating the complications became a painful and expensive one. In light of the many problems, thousands of transvaginal mesh lawsuits were filed, including around 1,800 claims against Ethicon, a manufacturer of Transvaginal mesh and a subsidiary of Johnson & Johnson. The first of these cases went to trial in February and our Boston transvaginal mesh lawyers have been closely monitoring the case as the outcome can affect transvaginal mesh compensation for all injured plaintiffs. On February 16, the Herald Online reported an update in the transvaginal mesh case. According to the Herald Online, the attorneys for the plaintiff in the case against Ethicon showed emails and video tapes revealing that Ethicon had ignored reports of complications caused by Transvaginal mesh. According to the evidence presented, at least one doctor expressed grave concerns about whether the transvaginal mesh products were safe. Ethicon executives, however, apparently ignored these concerns because they were so eager to get their product onto the market and start selling it. In one of the emails that an Ethicon executive wrote, the doctor expressing concerns was told that his opinion was respected and that Ethicon would be following up. Of course, Ethicon never did follow up and the product was released on the market in order to compete with AMS mesh, a product that was being offered by a competitor. The information on the video and in the emails about Ethicon ignoring possible problems with their product is strong information that shows the company should be held responsible for the damages that their product caused. All manufacturers of products are expected to release only reasonably safe items to the public. In fact, a tough standard called strict liability is used to impose responsibility on manufacturers whenever their products cause harm when used as they should be, regardless of whether a manufacturer was negligent or intentionally did anything wrong. 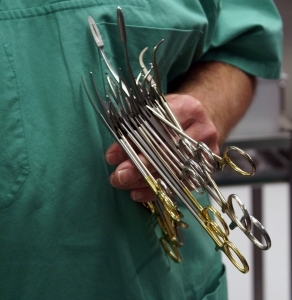 In this case, Ethicon did more than just fail to identify a potential problem. The evidence indicates that the company had at least one warning that their product caused complications and that they ignored that warning. This is egregious behavior and the company should be responsible for all of the harm they caused to thousands of women. If you or a loved one has suffered complications due to transvaginal, contact the Law Offices of Jeffrey S. Glassman, LLC for a free consultation. Call 1-877-617-5333.